It is with heavy hearts that we announce the passing of Glen William Adrian on Saturday, December 15th, 2018. Glen passed away peacefully, surrounded by love, at the age of 84 years. Glen was born in Chaplin, SK on August 29th, 1934, son of George and Eleanor Adrian. He spent several of his early years on the family homestead near Secretan, SK. Glen came from a large and loving family having thirteen siblings. He started working for the Canadian Pacific Railway (CPR) in 1957 and remained there for 35 years until his retirement in 1992. Glen married the love of his life, Judy Crowther, on November 14th, 1970. They had four children: Henry, Gwen, Clayton, and Tanya. Glen was known as a hard worker. While working for the CPR, Glen started to farm and raise livestock. His greatest joy was the time that he spent with his family, so much so that he farmed side by side with his two sons up until the time of his passing. Glen loved playing his guitar and listening to music, especially Hank Williams. He appreciated the beauty of nature, loved being outdoors, and was an avid hunter. Every year he planted and maintained an impressive vegetable garden. Glen cherished being a grandpa to six grandchildren and loved the time he spent with them. 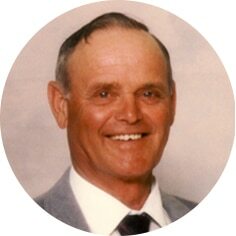 He was predeceased by his parents; brothers: George, Dennis, and Vern; father and mother-in-law, Gordon and Josephine Crowther; sisters-in-law, Joyce Thares and Marguerite Adrian; and brothers-in-law: Neil Hallborg, Don Remple, and Ken Toovey. Glen will be lovingly remembered by his wife, Judy; and children: Henry, Gwen (Ron), Clayton (Bree), and Tanya. Glen leaves behind six grandchildren: Ashley, Justin, Amy, Cassidy, Matthew, and Riley. Glen will be missed by his siblings: Ivy, Bernhart (Laura), Joan (Ron), Kathy, Gary (Bonny), Vivian (Jerry), Donald (Janice), Keith (Sherry), Eleanor (Wayne), and Barry (Phyllis). Glen will also be missed by several nieces, nephews, cousins, good friends, and neighbours. A Celebration of Glen’s Life will be held on Friday, December 28th, 2018 at 1:30 p.m. at the Chaplin Community Centre, Chaplin, SK with Pastor Marvin Seaborg officiating. Arrangements are entrusted to Moose Jaw Funeral Home, 268 Mulberry Lane. Calvin Gammel, Funeral Director 306-693-4550. Judy and family. I was so sorry to hear of Glen’s passing. My thoughts and prayers are with you all. Take care and God bless you all. Dearest Judy and family. We are so very sorry to hear of Glen’s passing. He was such a very good person and we all remember him fondly. Your cousins, Dianne, Ray Ivey and family.